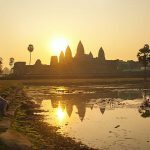 Cambodia highlights 15-day itinerary offer by Cambodia tours ranging from the vibrant capital city of Phnom Penh, the exotic hub of Siem Reap, the floating villages to the relics of Angkor temples. This 2-week tour is an ideal opportunity to help you to get close to the locals as well as experience the beautiful landscapes in Cambodia. 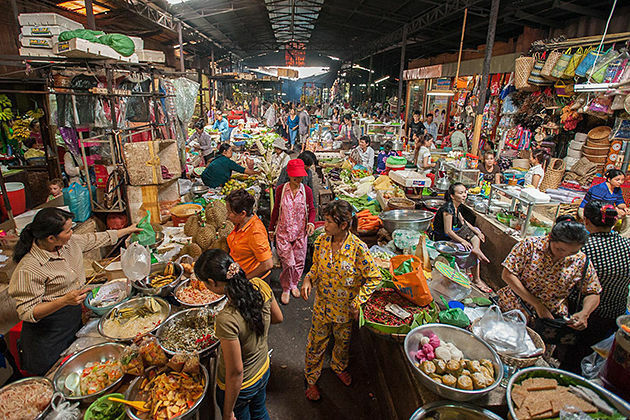 Welcome to the vibrant and bustling capital city, Phnom Penh. 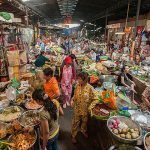 Despite experiencing the recent turbulent history, Phnom Penh is still a charming city in the eyes of domestic and foreign tourists. 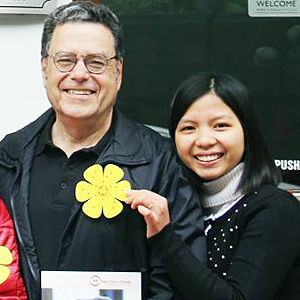 Upon arrival, the tour guide will be glad to meet you and take you to your hotel. Spend free time to refresh before starting your amazing 2-week tour. 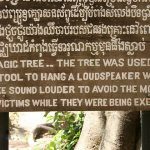 Begin your 15-day itinerary by learning about the Khmer Rouge and the history on a guided tour to Tuol Sleng Genocide Museum and the notorious Choeung Ek “Killing Fields”. Then continue by the Royal Palace and the Silver Pagoda. 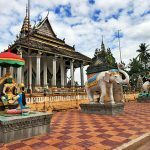 Leave the modern city behind, head to the peaceful countryside, Kampong Cham where you may be interested in exploring the quaint colonial town and see the Wat Nokor Pagoda. War Nokor Pagoda is an 11th century Mahayana Buddhist shrine. 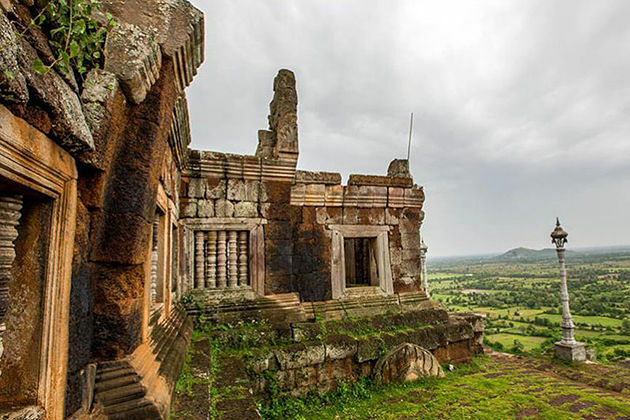 In the afternoon, go on your tour to Kampong Thom, at Phnom Pros and Phnom Srei. Check in your hotel around lunchtime. Enjoy a walking tour through some nearby villages and climb to the top of Phnom Santuk for a sunset view. 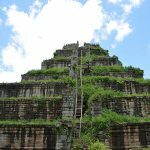 The next morning will be spent to discover the ancient temples around Kampong Thom before traveling to Siem Reap which is home to the most impressive group of pre-Angkorian monuments. You may reach Siem Reap in the late afternoon after 3-hour driver for 147km. 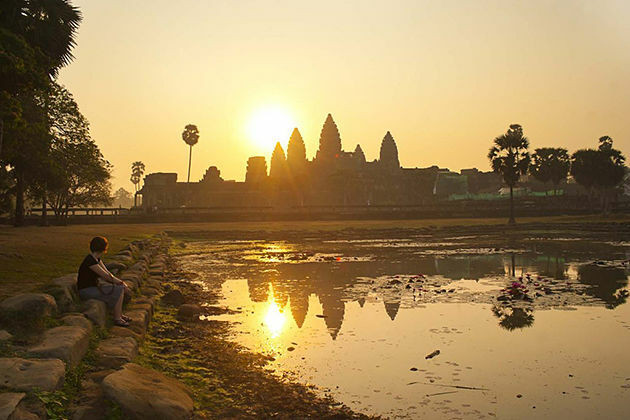 Wake up early in the morning to enjoy the fresh air in the Angkor Wat at dawn. At this time, the complex is much cooler as well as less crowded than usual. At the same time, you have a chance to see the sunrise when the temple reflex into the water. 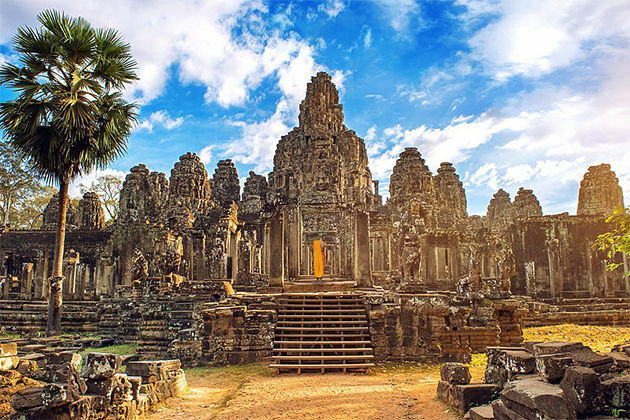 From South Gate of Angkor Thom, ride on an elephant to a monumental temple of Bayon. Then, head to the Terrace of Elephant, Terrace of the Leper King and Takeo. 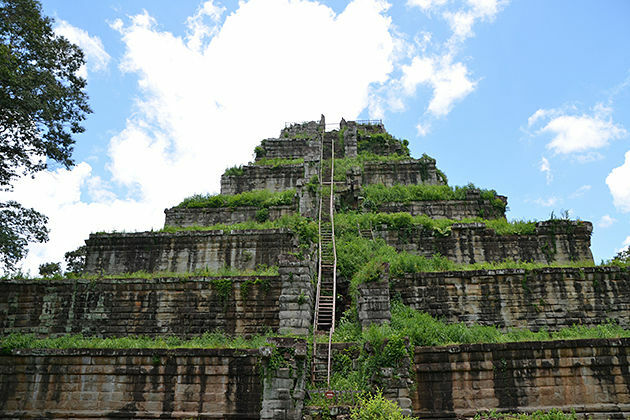 Go to the North Gate to leave Angkor Thom and move to Preah Khan, one of the largest temples in Angkor. After finish exploring the stunning temples in the Angkor Archeological Park, drive to the largest freshwater lake in Cambodia, Tonle Sap Lake. 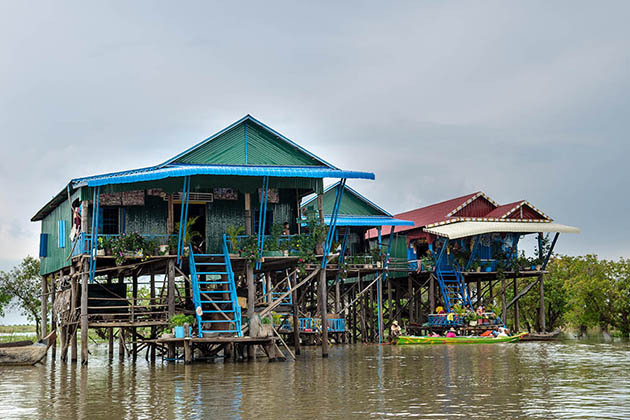 Cruise along the Tonle Sap Lake with the tour guide to learn about the local life in the floating villages. 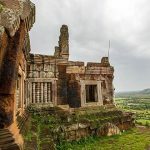 Today, we will transfer to Koh Ker to discover the old abandoned temples in the forests of northern Cambodia which is around 120km away from Siem Reap. 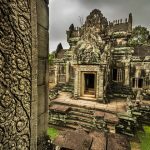 You should start at Prasat Krahom with impressive stone carvings grace lintels, doorposts, and slender window columns. 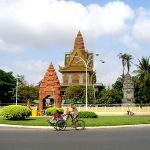 After breakfast at the hotel, you will have a drive to Battambang, the second largest city in Cambodia. Check in your hotel before immersing yourself in a walking tour through the bustling of the city with ancient French colonial buildings. 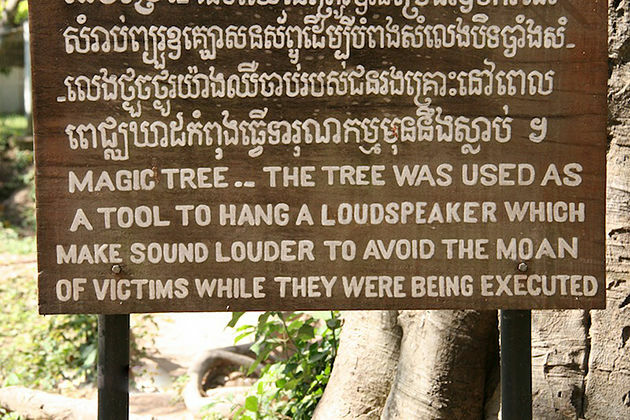 After that, we may visit some of the signature hilltop temples in Battambang as well as the infamous cave, Phnom Sampov where was use as the execution field under the Khmer Rouge regime. 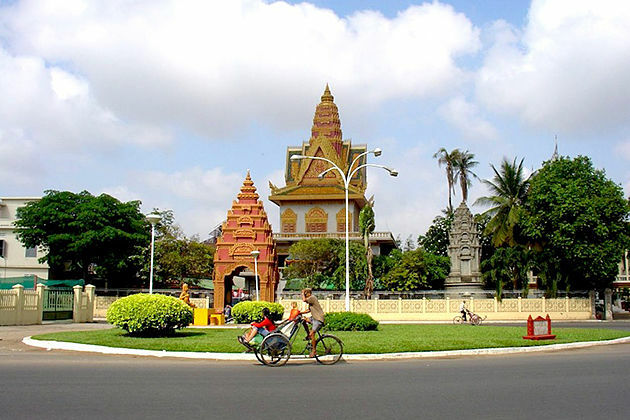 Head to Phnom Penh, the capital city of Cambodia. 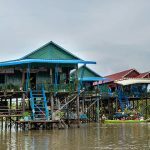 Stop at Kompong Chnang to get a taste for Cambodia’s rural life and visit the floating village in Kompong Luong. 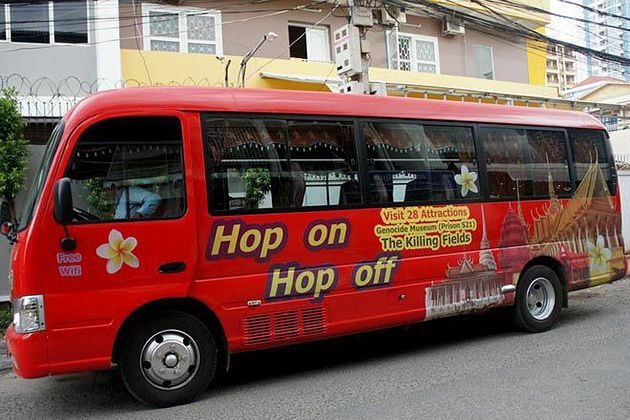 You may arrive in Phnom Penh in the afternoon and check in your hotel. Then go to “Russian Market” to enjoy some free time to relax and show your best negotiation skills on a walk through the market where you can find anything. 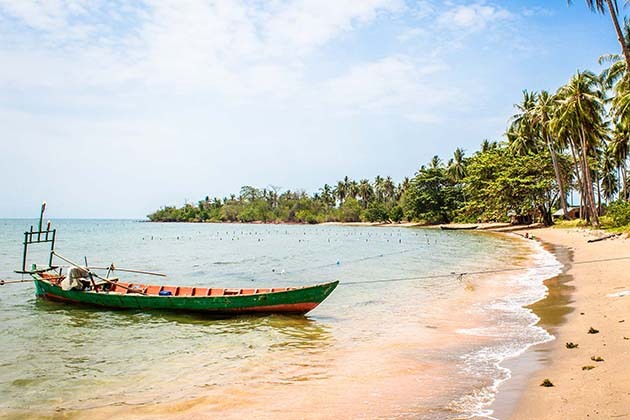 Continue your itinerary by a southwards of Phnom Penh, the seaside resort Kep-sur-Mer. 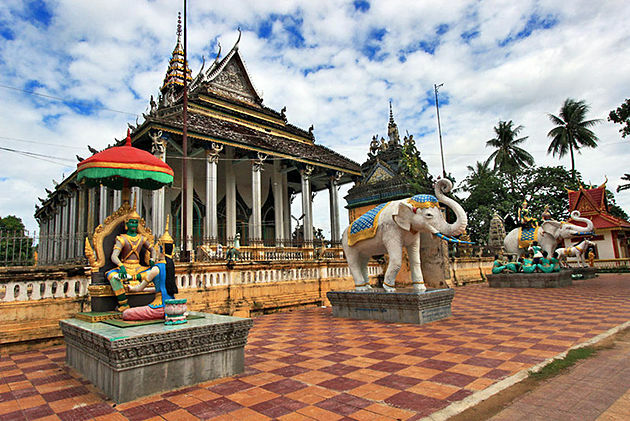 Your first stop should be Phnom Chisor Temple dating back to the 11th century. Climb 500 steps to the top of the hill to see the panoramic views of the surrounding countryside. Then go on to the quiet town of Takeo in the evening and check in your hotel. After breakfast, take a local boat for a 30 minutes sail to Rabbit Island. Spend your afternoon bathing in the warm waters and snorkeling around which hide much colorful fish. In the late afternoon, come back to Kep and spend this day at your leisure. 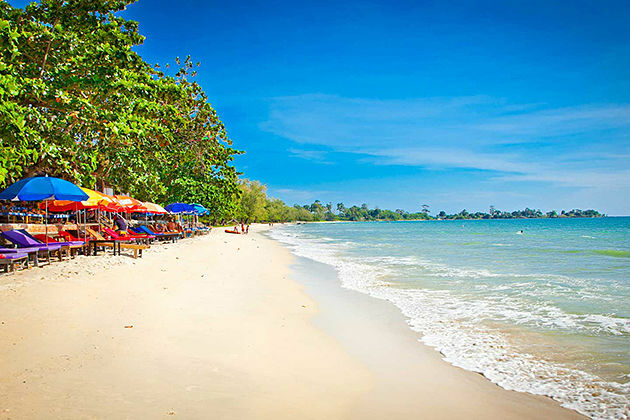 Have breakfast at your hotel then transfer to Sihanoukville, home to pristine sandy beaches. 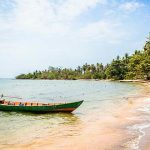 Sihanoukville is the stunning tropical, beach getaway with a 10km stretch of beaches and islands. 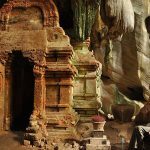 En route visit the famous attraction in Kampot: the caves of Phnom Chhnork where you can explore the remains of a 7th-century brick temple. 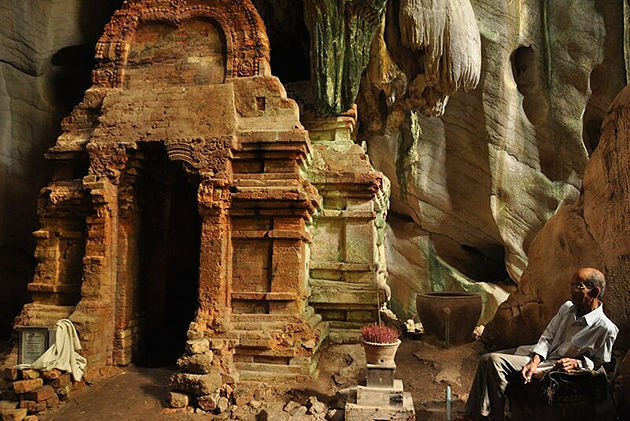 Next, visit the caves of Phnom Sla’an. If you are an adventurous person, scramble through this cave until you magically appear into the sunlight on the top of the hill to see the beautiful views in Cambodia. Besides, a visit to pepper plantation enables you to learn about the work of local community living here. 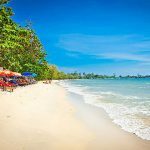 In the late afternoon, arrive in Sihanoukville to stay at your leisure. Spend an entire day free to bask in the sun or bath in the warm coastal waters. The dream of spending holidays in an exotic country comes true. It may still be your free day with the beaches and the islands. Enjoy breakfast at your hotel before travel to Phnom Penh’s airport to end your 15-day itinerary.